How often do you find yourself attempting to read a magazine, a newspaper, the instructions for your medication, or even just the text on your phone only to find out you don't have your reading glasses on you. 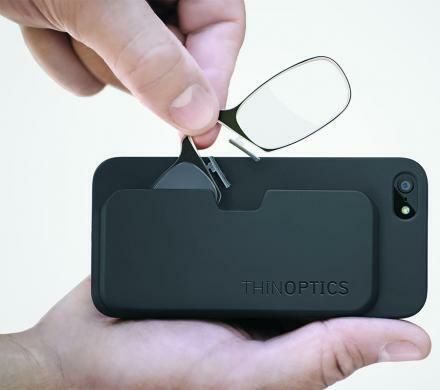 Well assuming you have your phone on you, you will also have your reading glasses on you with this phone case that holds a tiny super-thin pair of reading glasses right in a little pocket on the back of the phone. 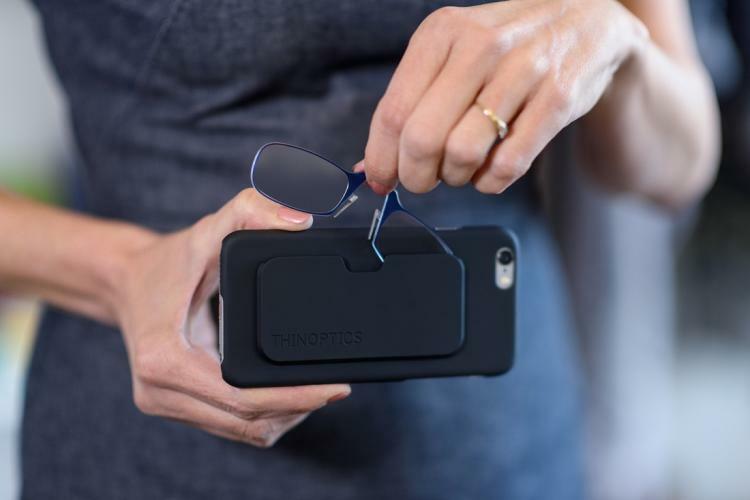 The ThinOptics reading glasses are made to be extremely thing and able to be jammed into a tight flat pouch without breaking. 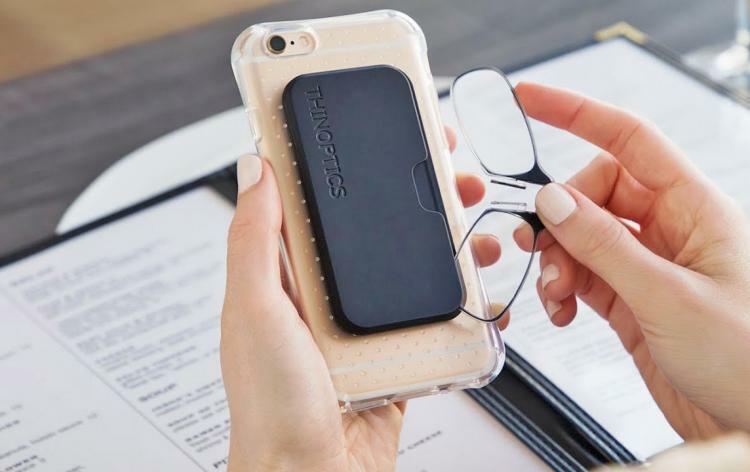 Since the tiny reading glasses are made to be completely flat and made with shatter-proof lenses there will be no scrunching or shattering when you accidentally sit on them or your phone. 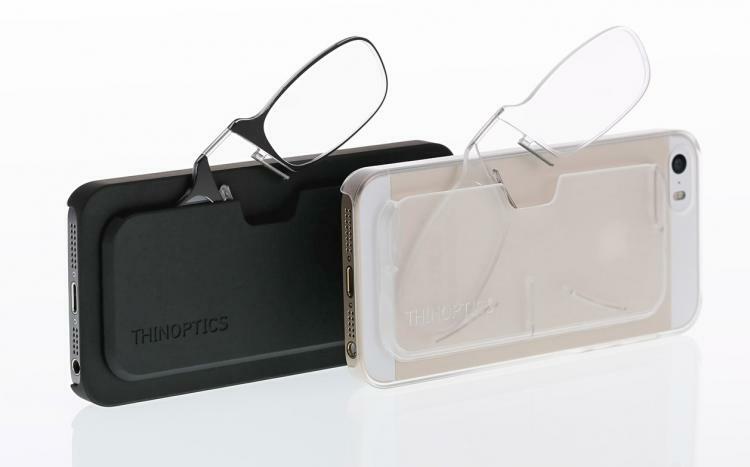 Made by ThinOPTICS, a company who makes thin eyeglasses, the eyeglass holding phone cases are offered in a variety of different sizes to fit pretty much any version of the iPhone. 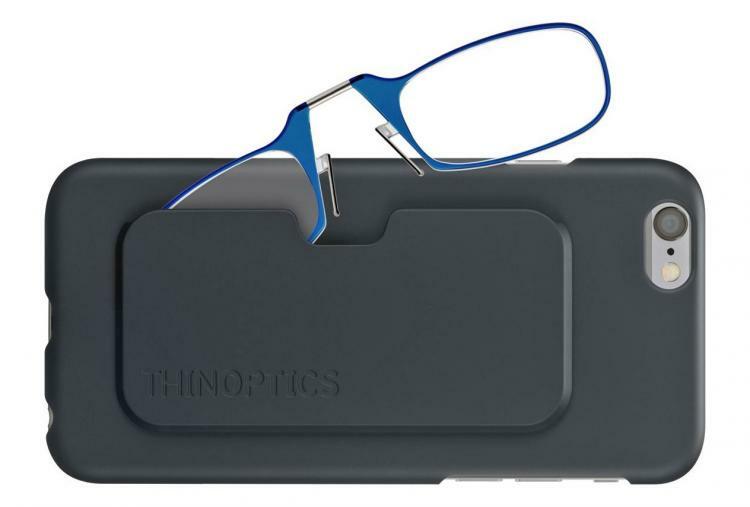 The ThinOPTICS reading glasses come in a few different strengths to choose from depending on how bad your eyes are, and come in a few different colors to choose from. 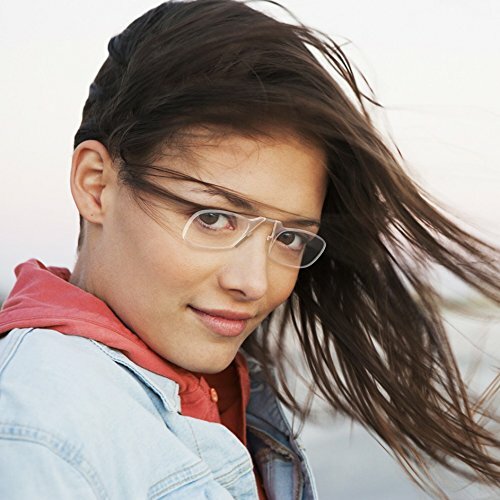 Although the glasses don't have any ear pieces, their patented flex-grip technology allows the glasses to flex and grip onto any nose they are worn on. 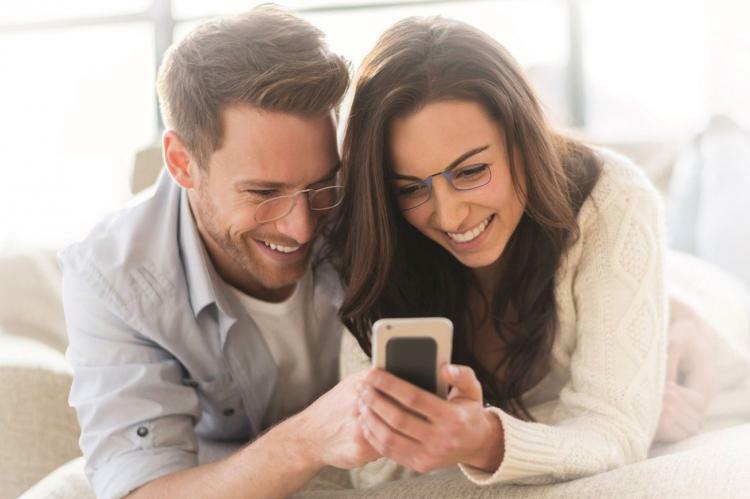 Plus, the reading glasses have lenses that are produced from thermo-injection molded optical grade poly-carbonate, which are shatter-proof and often used in safety and ballistic eye-wear. 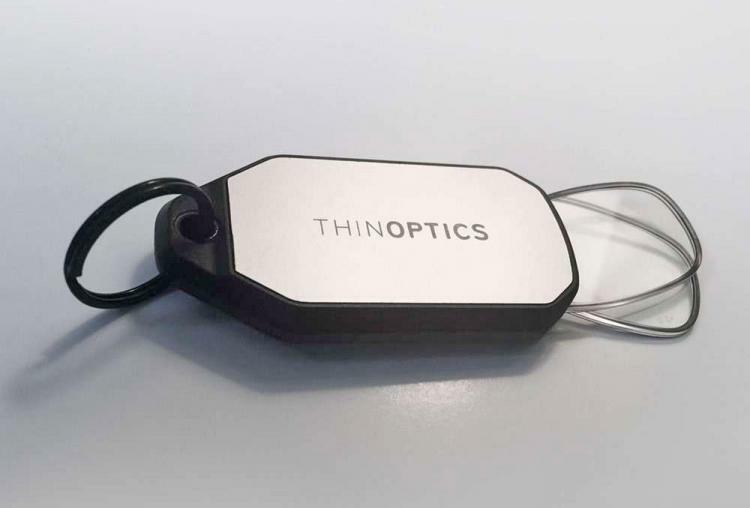 Not only does ThinOptics allow you to store you reading glasses right on your iPhone, but there's also another version that's a tiny key-chain. 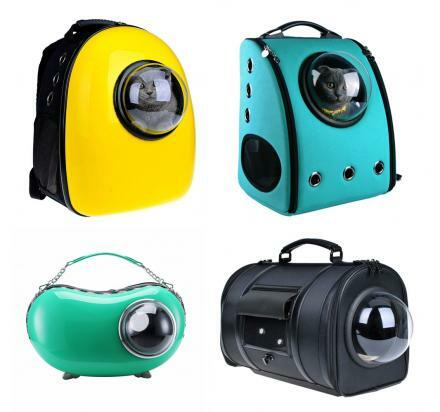 This way no matter if you have your phone with you, assuming your keys are on you, you'll always have your reading glasses nearby. 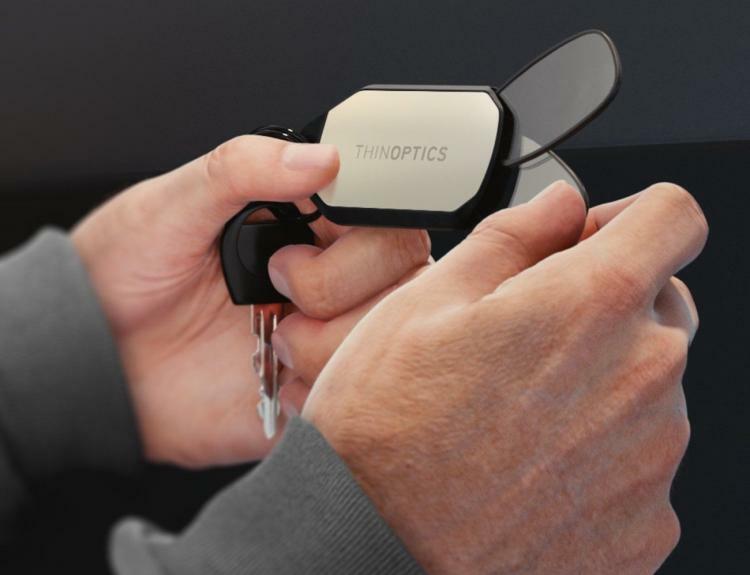 The reading glasses are folded in half inside the key-chain, and pop right out when you need them. Check out the ThinOptics reading glasses phone case and key-chain in action via the video below.